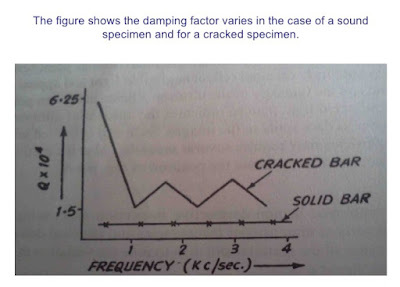 As the Measurement of damping can give information on the origin of defect such as forming of quenching cracks. 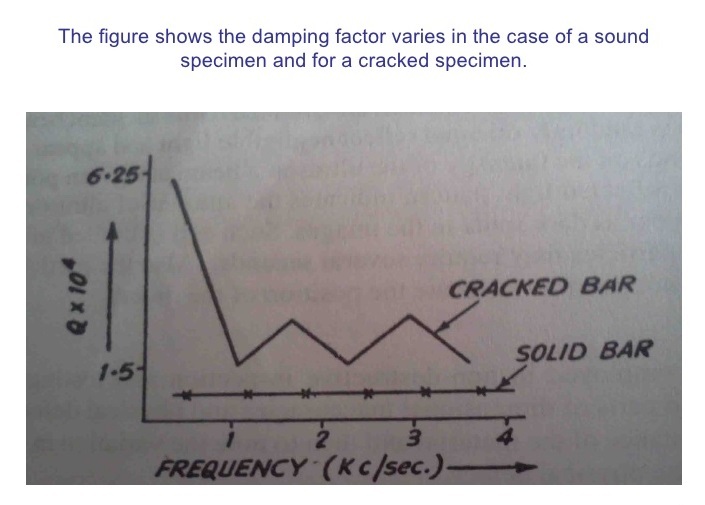 For Example, an increase in damping was found in steel specimen which had been quenched. It is possible to determine the position of a crack in a cylindrical piece. When a solid specimen vibrates, its free oscillations decay when isolated from their environment. Some of the energy is always convert into heat. The various mechanisms by which this transfer of energy occurs are collectively termed as Internal friction.